Hulu has agreed a partnership with Vice Media that will see the US streamer make around 150 hours of programming from the youth-skewing company available to its viewers. The deal will include 15 shows from its cablenet Viceland, ranging from Ellen Page’s Emmy-nominated Gaycation to Gloria Steinem’s show Woman, which explores leading female figures around the world. Cookery shows such as That’s Delicious are also included, with programming to be available via Hulu in the US from June 8. 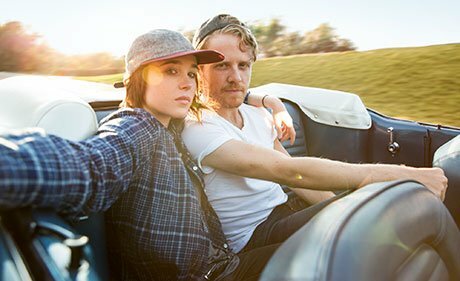 The arrangement is believed to be the first SVoD deal for Viceland shows. Viceland in the US, a joint venture between Vice and A+E Networks, is already available on Hulu’s live TV streaming service following a deal struck in 2017. Guy Slattery, Viceland’s president, said the deal would help to “continue widening the audiences” for its shows. The cablenet, which has been rolled out globally, has struggled to secure large audiences, with Canadian broadcast group Rogers terminating its joint venture with Vice Media in January.